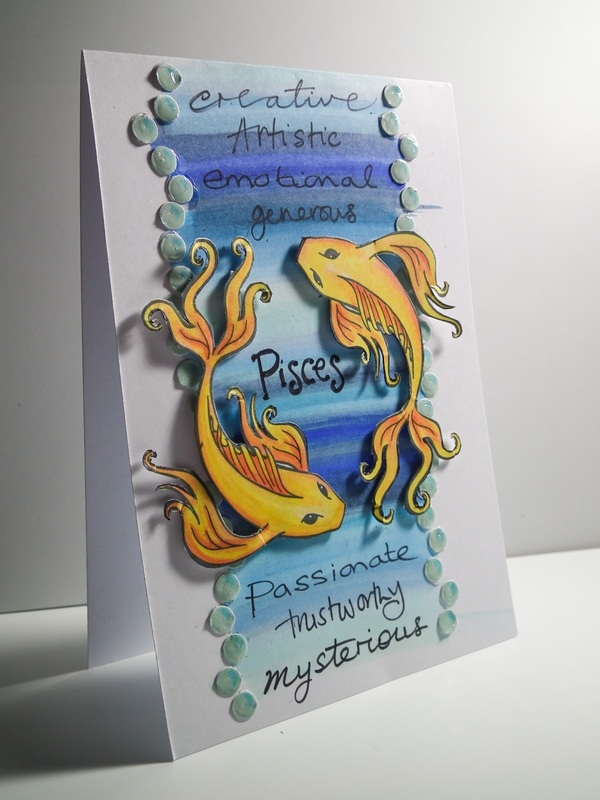 Bright and Breezy Crafts: Best fishes... pisces. This weeks challenge is all about the "zodiac"
..I used 6 different shades of yellow and orange. and aqua greens - using about 8 colours of blue and aqua. and added them as bubbles... like a border. I hope you will join in the challenge this week, with us. Very nice card and cute image thanks for sharing!